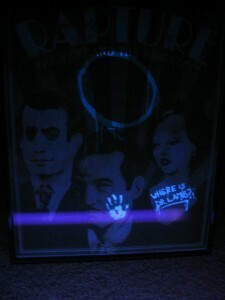 Kotaku reports that when viewing the posters included with the Bioshock 2 SE with a black light hidden messages appear. 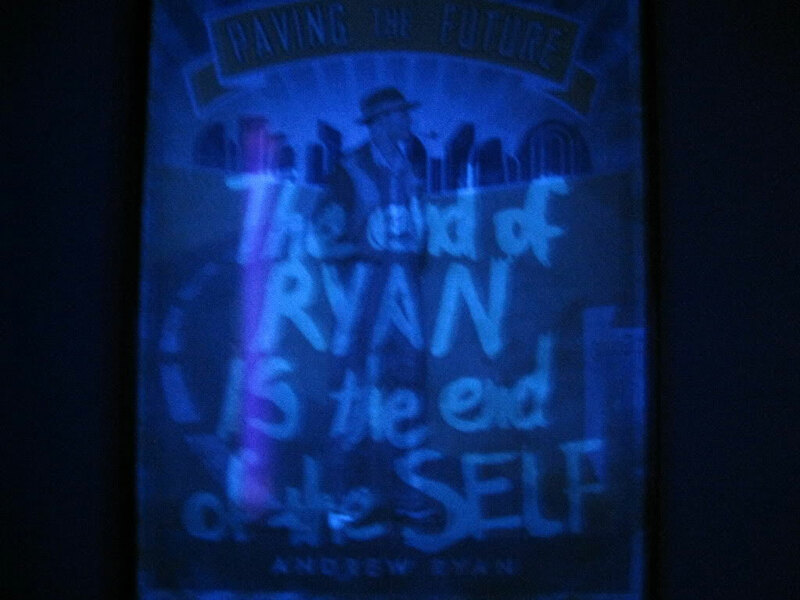 A 2K forum poster holding a random blacklight session with his friends discovered scrawled secret messages on the three BioShock 2 posters that were packed in his special edition. Creepy! As proof, another 2K forum-goer posted these images, along with a video that can be found at PhotoBucket. Those of you who recently picked up BioShock 2 Special Edition probably realize how important the Soundtrack is in making that particular CE what it is. I mean it’s the only CE I know of that includes an actual Vinyl LP, a piece of bonus content that defined the shape of the box. It also came with a copy on CD, and beyond that the only thing that made the Special Edition Special was the inclusion of a hard bound art-book. Not content with making the soundtrack Exclusive to SE owners 2K games has made the Bioshock Soundtrack available for download in iTunes. Release of the above soundtracks coincided with the release of the Special Edition (really? not even a delayed release?) 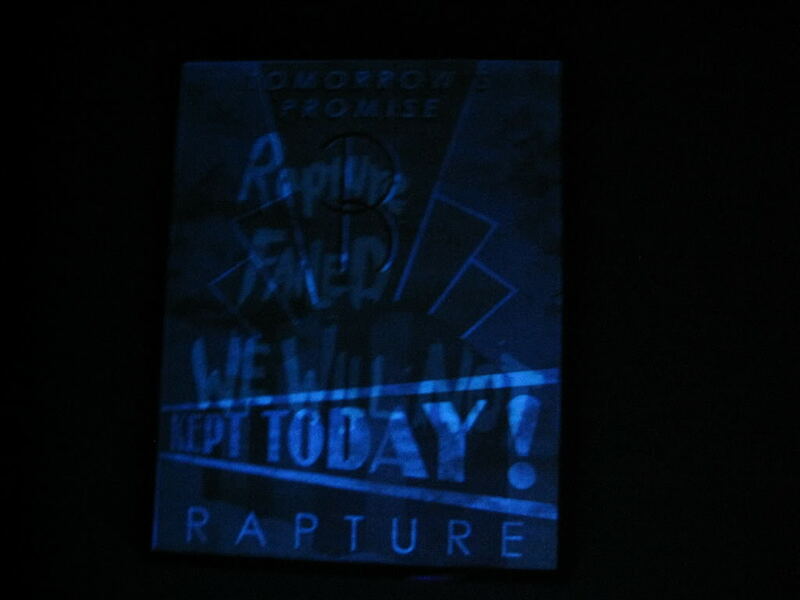 And for those who pay attention you could have been streaming it live though Rapture Radio since before release. Obviously a digital copy doesn’t hold the same Collector’s Pride that owning the sound track on vinyl does, but seriously, how many of you actually own a turn-table? …and no having one in some dusty storage box somewhere doesn’t count. 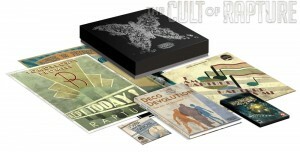 Details of the upcoming Special Edition of BioShock 2 have been released via the Cult of Rapture site. Over the past few months, I have seen a lot of speculation around whether or not we would have a special edition for BioShock 2, and if we did, what would be inside. This is the announcement many of you have been waiting for: There will be a BioShock 2 Special Edition. The Special Edition will come in 13″x13” premium packaging with special art on both the slipcase and the box cover. Inside, you will find three posters featuring vintage ads from Rapture (rolled), a vinyl 180g LP featuring the orchestral score from the original BioShock, a CD containing the BioShock 2 orchestral score, a 164 page 8″x11″ hardbound artbook chock full of developer commentary and, of course, a copy of BioShock 2. This edition will be available on February 9th, 2010 for $99.99 for Xbox 360 and PS3 and $89.99 for Games for Windows LIVE and is limited to a single production run. You’ll be able to preorder the Special Edition in most countries worldwide, starting now. Stay tuned for the Official Unboxing for a closer look at the BioShock 2 Special Edition.